This film is a unique experiment, an attempt to rediscover an outstanding piece of world literature and to put it into a contemporary context. Lang connects his interpretation of the Threepenny story with the genesis of Brecht’s exposé for a Threepenny Film that has never been on screen. 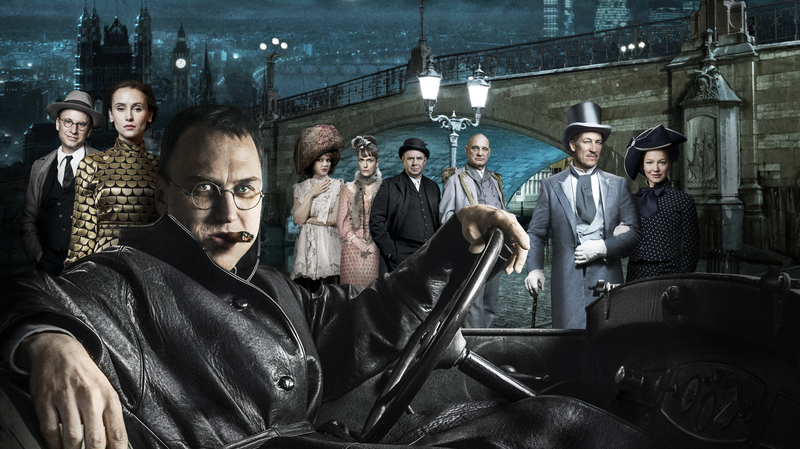 It takes the audience to Berlin during the Roaring Twenties in a framework plot that shows how the artists attempt to shoot a movie while confronting the film industry. The main plot is the Threepenny Film itself and takes us to an artificial London around 1900, to the city’s notorious criminal Mack the Knife and his fight against Peachum, the king of the beggars. The film ends in the 21st century. Everything that Brecht utters in the film are direct quotes from his complete oeuvre. The screenplay is based on the "The Threepenny Opera" by Bertolt Brecht, Kurt Weill in collaboration with Elisabeth Hauptmann. Joachim Lang was born in 1959 and is a German author, film director and documentary filmmaker. He has also staged plays in various theaters and was artistic director for the Brecht Festivals. His award-winning films include: IT WAS A VERY GOOD TIME, TO THINK IS TO CHANGE, THE REVUE OF GERMANY, THE ART OF LIVING, GEORGE, and MACK THE KNIFE - BRECHT'S THREEPENNY FILM.